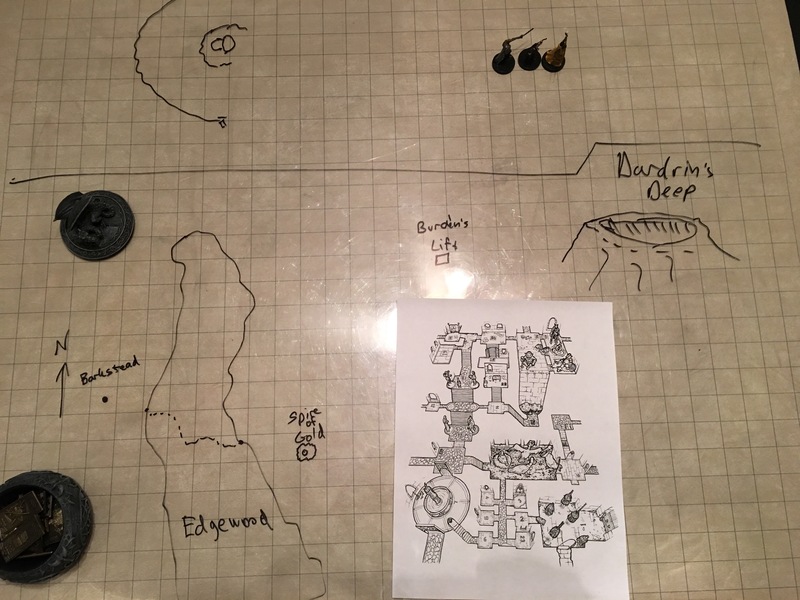 After a vision with clues to saving a spell-slumbering elvish maid, the heroes ventured into the dangerous territory of the Red Centaurs to brave the perils of the Spire of Gold. After some adept thinking the party’s druid used a vine whip to fasten rope to the towers top. Scaling the outside of the tower, the heroes were attacked by dire pelicans! Finding the magic gauntlets, the heroes now begin their journey to Byrðincel Abregdan (or, ‘Burden’s Lift’) where the fable Soul-Blade is rumored to rest. (Everyone levels up to 2nd Level for the next game).